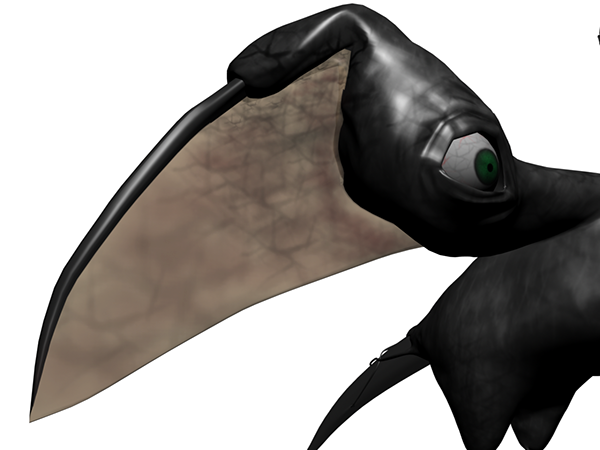 This model was one of the first character models I had the pleasure to create. 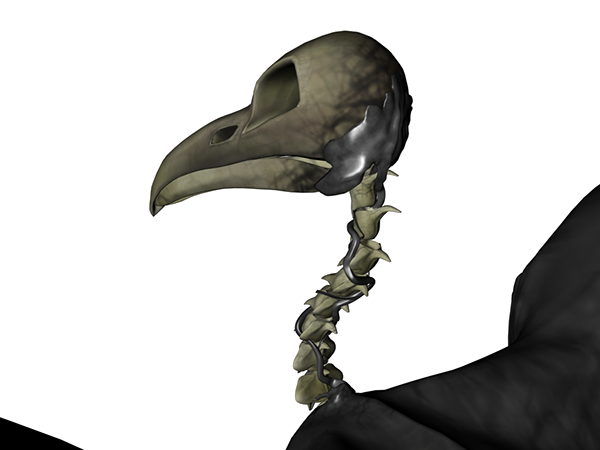 The skull and structure of the bird is based on a common raven. 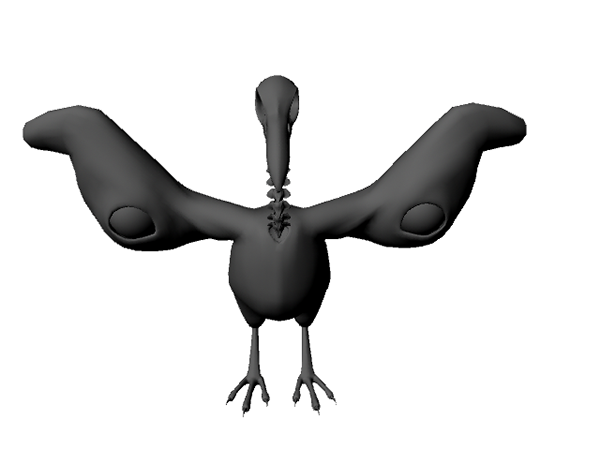 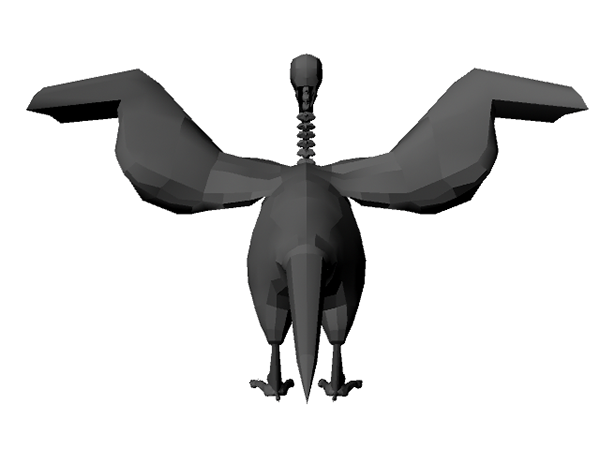 Here are some in-progress shots to show the develpoment of the body of the bird before the addition of the wing membranes and texture. 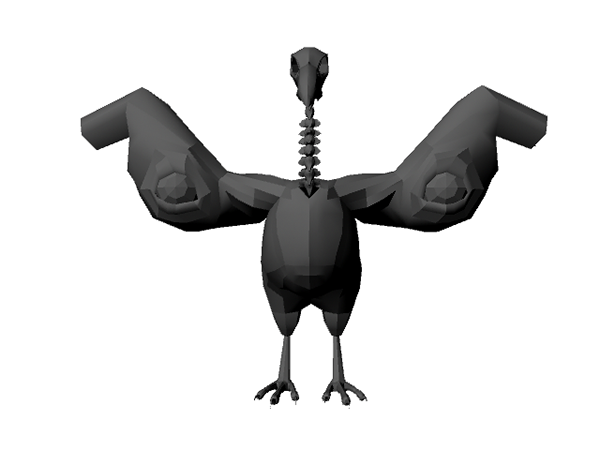 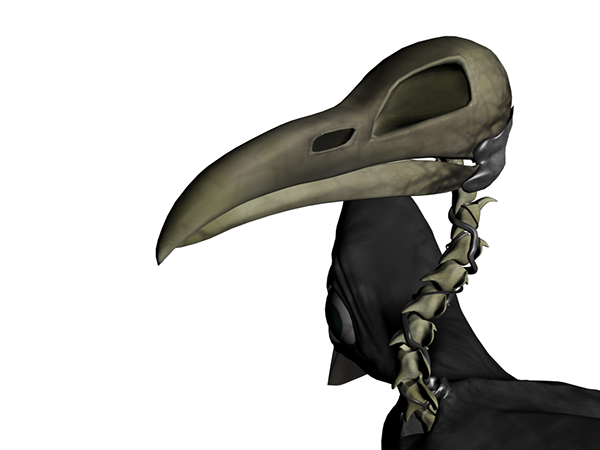 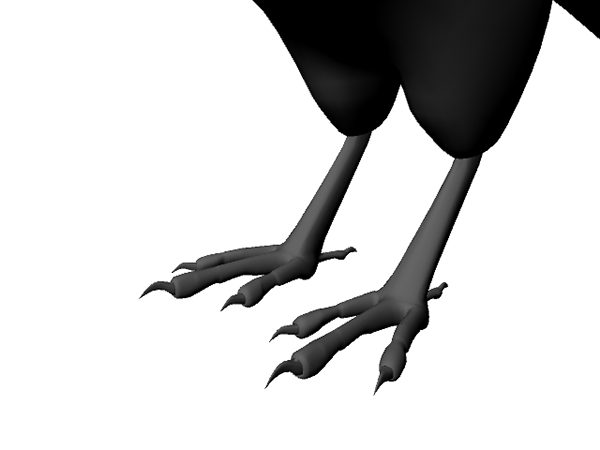 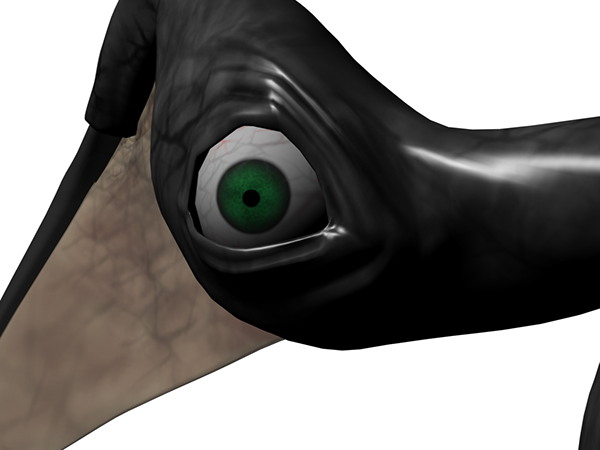 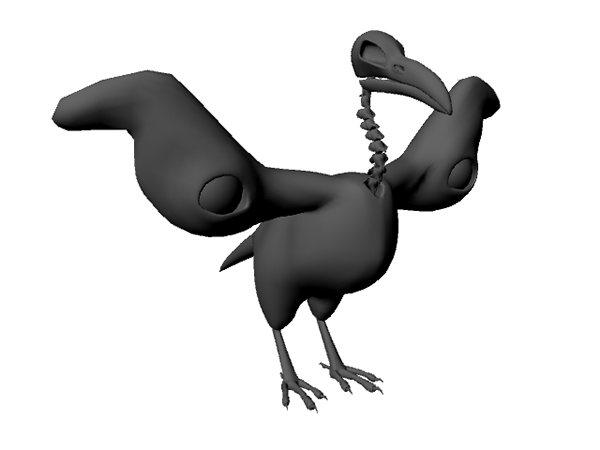 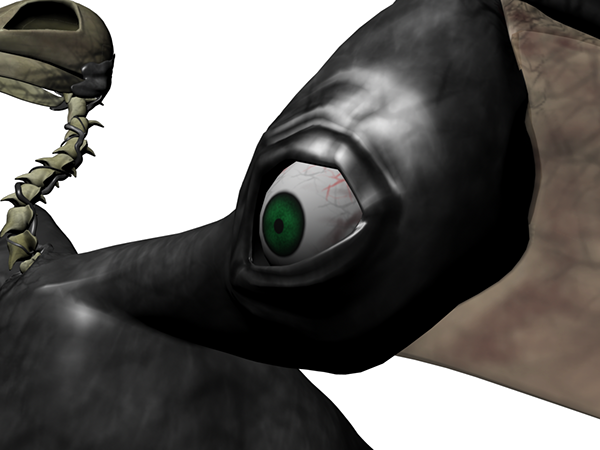 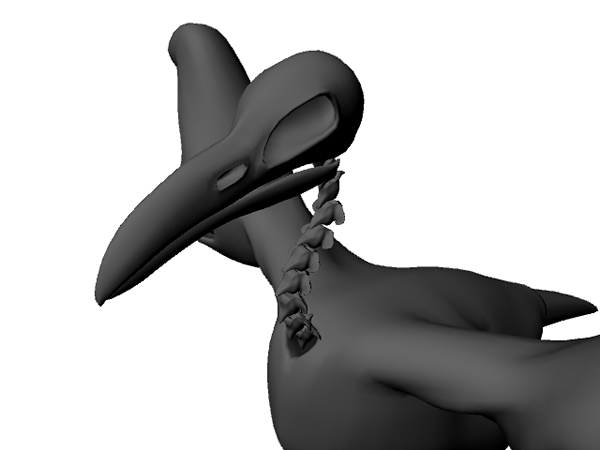 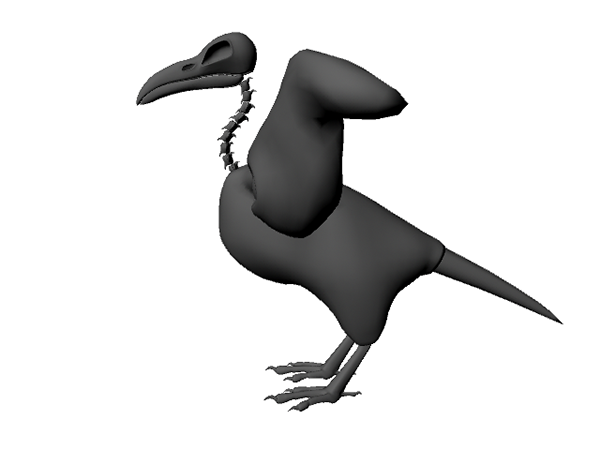 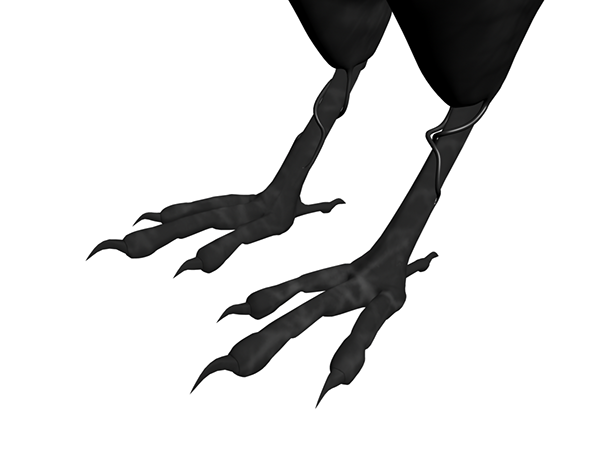 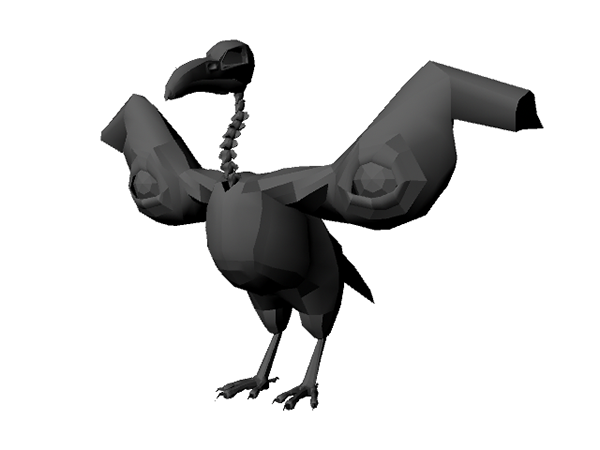 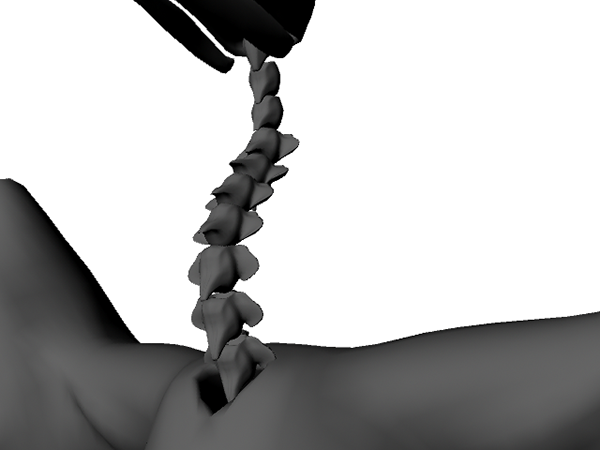 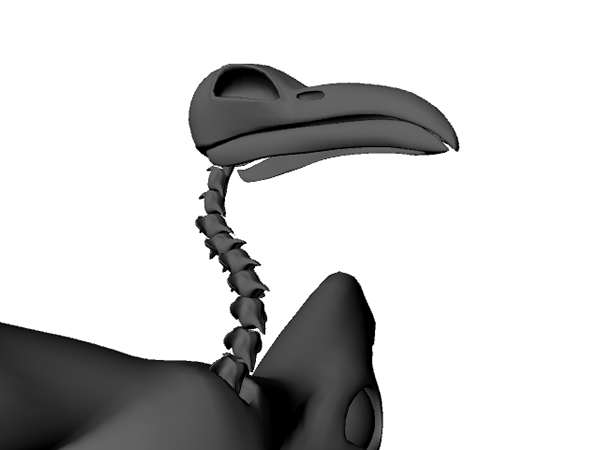 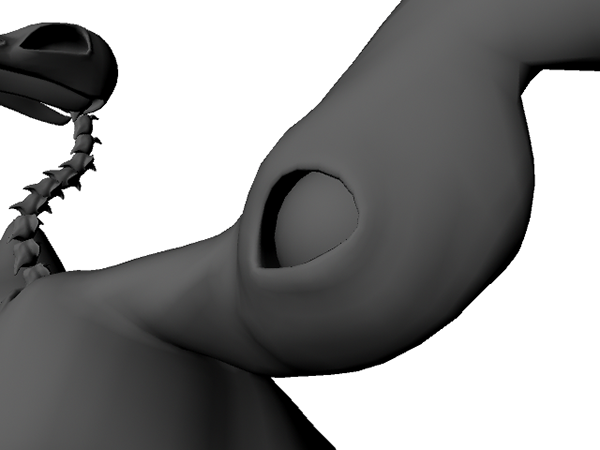 A 3D model done in Autodesk Maya of a horror-influenced raven.